Dr. Eggman has a habit of ruining everything when he's trying to get Chaos Emeralds, so it's a good thing Sonic is around to stop him. From the blue spikes to the red shoes, everything about him screams speed and any child who steps into the character's shoe my instantly find themselves searching for some gold rings. Long ago Sonic the Hedgehog had a rival who would challenge him at every turn, Knuckles. This echidna didn't want to back down and wanted to prove himself as just as great of a hero as the blue speedster. But one day he got to show Sonic just how great he was when they joined forces to save the chaos emeralds from Doctor Eggman. 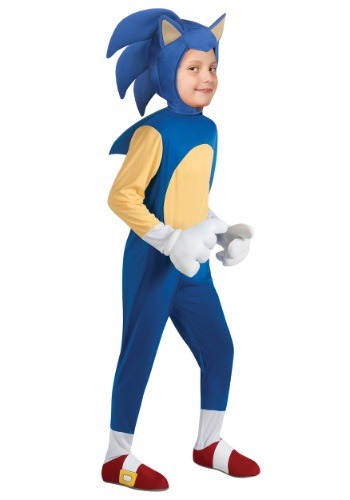 Now your little one can become video game icon in this great Sega costume. On the planet Mobius there is an echidna who is on a mission, a mission to protect the chaos emeralds. 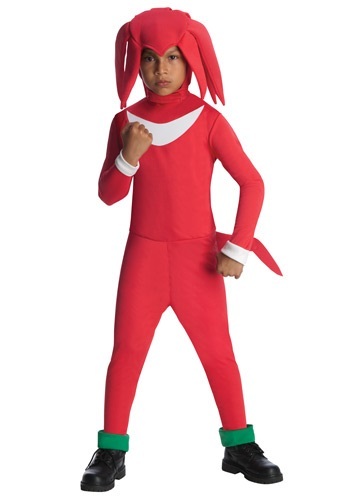 Now your little girl can look just like Knuckles the Echidna with this adorable dress costume. This outfit pairs great with our awesome Sonic and Tails costumes for a fun group costume look. Sonic worked carefully with us to craft this awesome replica mask of himself. 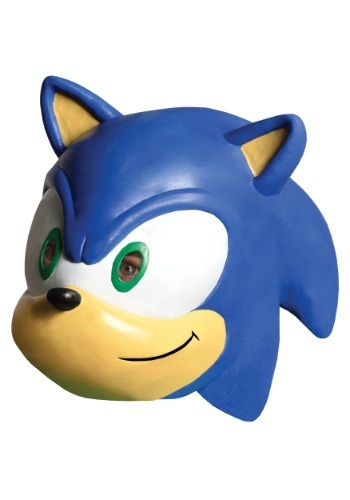 He had a hard time getting away from from the Emerald Hill Zone, and his ring total took a bit of a hit, but even he'll agree it was worth it... this mask will allow your child to portray to legendary speedster, and it comes with Sonic the Hedgehog's seal of approval! When Sonic the hedgehog needs help saving the day there is only one clever fox he call upon, Tails. This two tailed little critter has helped the blue wonder make sure that the other animals of Mobius stay safe from the evil Doctor Robotnik. Now your little girl can look like her favorite video game character with this adorable Tails dress costume! Once you’ve purchased this remarkable Sonic the Hedgehog Cap, take a photo and tweet at Jaleel White. I wonder how he feels knowing that he was not only Steve Urkel but the Sonic the Hedgehog. Did he really do that? If you’re in love with the game, then this Sonic the Hedgehog Fleece Cap is a must have accessory! Wear it for those all night Sega games. Or to spite those who decided to buy a Tails or Knuckles cap. You've spent years training your dog. You've taught him all about Star Light Zone. You've trained him to fight Doctor Eggman's robots. And of course, you've taught him Sonic the Hedgehog's signature dash move. He's ready to gather the Chaos Emeralds, or he might just be ready to be adorable at your party in it. Either way, he's going to need this licensed costume to do it! 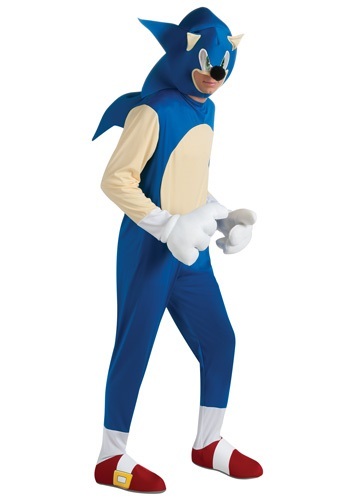 The real Sonic can run faster than the speed of sound. 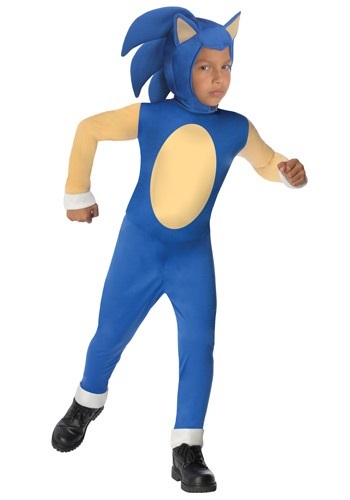 We can't promise that wearing this Sonic the Hedgehog Romper.will give your child that ability. But he CAN curl up in a tight ball for defense. He can search for Chaos Emeralds. Maybe he can even become Super Sonic! This Sonic the Hedgehog Tails Fleece Cap is a must have item for any Sonic the Hedgehog fan! 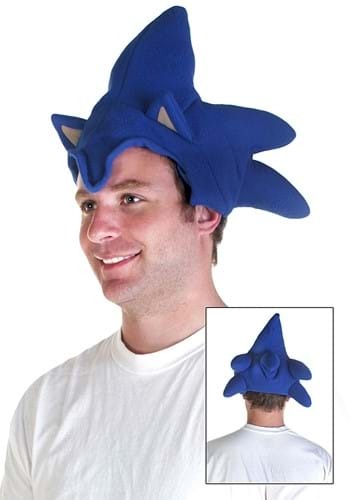 It’s a great way to keep your head warm strut your love for Sonic’s best pal! When Dr. Eggman starts running around town, stealing Chaos Emeralds and sending monstrous machines to cause trouble, you'll be glad to have your girl around, dressed in this Knuckles the Echidna costume. 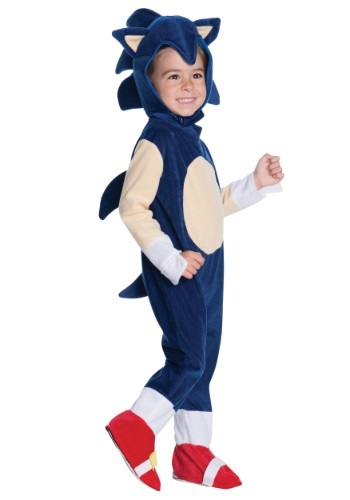 This costume brings all of the Sonic the Hedgehog character's signature details, like his knuckle spikes and Jamaican infused shoes, to a cute look for teens. Strangely enough it sort of makes anyone who wears it want to glide through the air and break walls. Dr. Robotnik is at it again! It is up to Sonic the Hedgehog to save the planet of Mobius from the evil physician and his robot army. 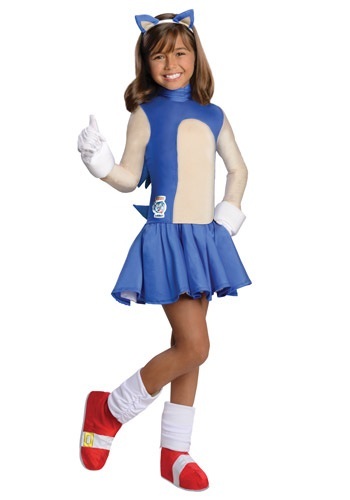 Now you can look just like the chili dog loving blue blur when you wear this Sonic dress costume. Pair this cute outfit up with our Tails or Knuckles costume for a fun duo or group look this Halloween. It seems like there's always some evil maniac out there, trying to steal the Chaos Emeralds for his evil scheme. We'd be scared, except that Sonic and Tails are always there to stop him, but that doesn't mean your teen can't give saving the world with Sonic a try. All she needs to do, is disguise herself in this Miles "Tails" Prower costume and that blue hedgehog probably won't be able to tell the difference.